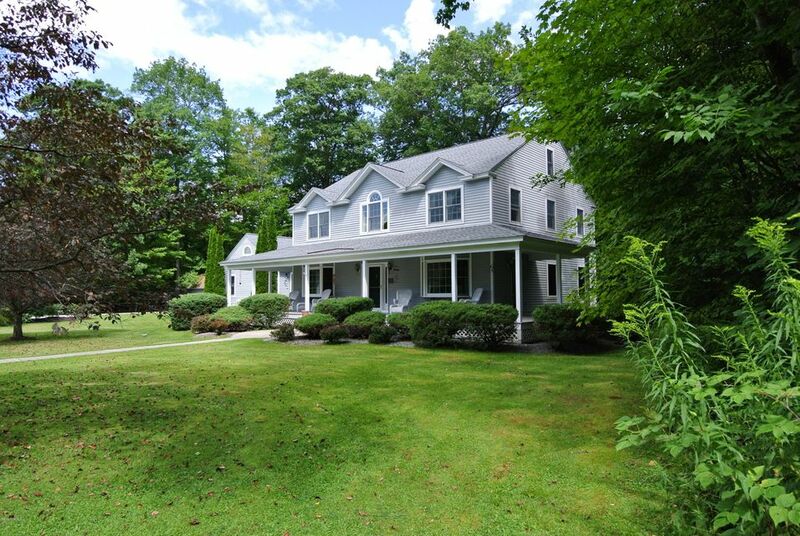 Impeccably maintained custom built home convenient to the entire Berkshire community. Spacious kitchen great room is perfect for gathering while the chef is making dinner, large living room with elegant built-ins opens to a wrap-around porch and an elegant cathedral ceiling-ed foyer are just a few of the special interior details. In addition, there is a fully separate, heated and beautifully appointed office/studio building about 50' from the house, a detached storage shed, oversized 2 car garage and deck with hot tub. Very private with a wonderful open yard and perennial gardens.